[OSEN=Park Pan Seok] Actor Jang Keun Suk announced his return as Asia’s prince. 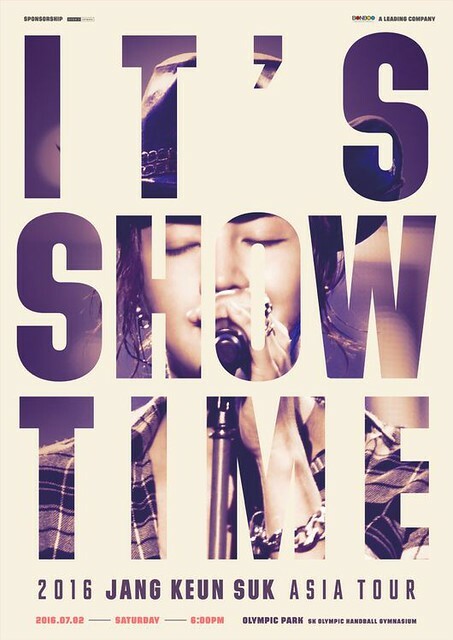 Jang Keun Suk is going to hold Asia tour ‘2016 JANG KEUN SUK ASIA TOUR~IT’S SHOW TIME~’. Starting from Seoul concert on July 2, Jang Keun Suk is going to meet the fans throughout in Asia such as Tokyo and Osaka of Japan, Shēnzhèn and Shanghai of China, etc. In this concert, there will be live singing stage of course and talking time with the fans to communicate, therefore it attracts attention more. The behind story to listen from Jang Keun Suk lived as Baek Dae-gil in the ‘Jackpot’ so far of course, he will talk what he has done for the first half of year 2016 honestly. Moreover, during the busy schedule, Jang Keun Suk participated in concert planning when he has time and showed extraordinary passion and affection. As it is the first stage after ‘JANG KEUN SUK LIVE IN 2015’ that captivated three countries of Korea, China and Japan completely a year ago,he has extraordinary anticipation and strong ambition. All Eels love and support Prince Keun Suk. All the best prince and lucky eels…. Daebak! Great news! All the best for you my prince! Great news for all eels! Hope to see you live. God bless you more, my prince! I wished I lived in Asia. In Korea or Japan , I want to go! His shows always look like soooooo much fun. I hope he will loose some weight..he looks chubby now..